The album that started my collection was Extensions by Manhattan Transfer. The hit single from the album, “Twilight Tone”, took the iconic hook of The Twilight Zone theme song and turned it into a post-disco hit. My 7-year-old ear loved it to death, and I wouldn’t stop pestering my parents till I had the album in my possession. That’s the earliest, cognizant memory I have of music. Before that, I just hummed along with whatever was playing on the radio, my vocabulary not developed enough to understand any of the lyrics, let alone remember song titles or artist names. 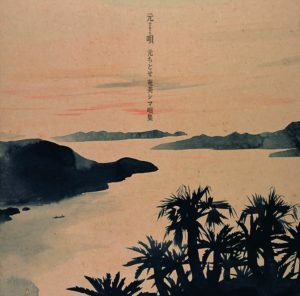 The majority of albums on this list were discovered many years after their original release. I didn’t want to exclude music from the first decade of my life just because I hadn’t yet developed listening habits. My brother owned this album. I checked this record out of the library back in high school, but I didn’t understand it at the time. I had to go through a schooling in punk and post-punk before I could seek this album again. I became so enamored of it, I snatched up tickets to the original line-up’s tour in 2005. I didn’t take the plunge with this album till it was available on eMusic, but I’ve known about it since high school. I heard Elliman’s singles all over radio, but I never learned who she was because DJs had that awful habit of never mentioning who was playing. It would take a few decades before I would seek out the album with her most memorable music. No Clannad collection should exclude the six folk albums, but if I had to choose one, Clannad 2 would be it. No Emmylou Harris collection should exclude her first six albums, but if I had to choose one, Pieces of the Sky would be it. My introduction to David Johannsen was not through the New York Dolls but through Buster Poindexter. 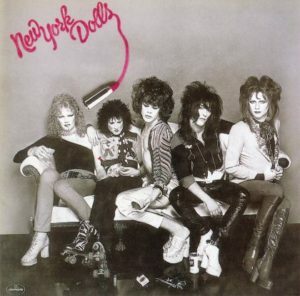 Given the Dolls’ Velvet Underground-like influence, I’m sure I would have found my way to this album through some other means. I’ve mentioned before how sibling rivalry affected my earliest days of music collecting. If one of us (out of four) claimed an artist first, we had dibs on everything that artist made. It was so territorial, no one was allowed to touch anything owned by another sibling. At first, it started out as a four-way arms race, but my sisters eventually dropped out. Collecting just wasn’t their thing. That left my brother and me. Occasionally, something would come along that put those border resolves to a test. 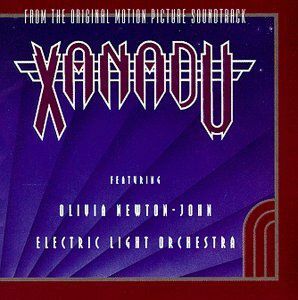 In 1980, it would be the soundtrack to the movie Xanadu. The album had something for everyone. Side A housed the wholesome pop of Olivia Newton-John, while Side B offered a modicum of rock respectability with the Electric Light Orchestra. The singles were ubiquitous, and they only fired our desire to see the movie. My parents, however, disliked movie theaters, and in the days before video rentals, the alternative was to wait a year for network TV to air it. My brother managed to snag the Xanadu soundtrack before any of us could lay claim, and yeah, my 8-year-old self was appropriately annoyed by the coup. On those occasions when my brother deemed us worthy to listen to the album in his presence, I remember liking the ELO side better than the ONJ side. “The Fall” was the first hint of my fondness for darker material. Also, I was too young to appreciate the genre-splicing in “Dancin'”. What’s with this jazz thing? Why is some dude interrupting Olivia? And why does Gene Kelley have to end Side A? The movie eventually showed up on network television — my parents were also too cheap to subscribe to cable — and it was … OK. Still not sophisticated enough to detect bad screenplay writing, I found the movie fun, if a bit dragging. Xanadu eventually became a distant memory as soon as Duran Duran entered my life. In fact, I didn’t really think about it till I thumbed through a bin of newly-arrived used vinyl records at Silver Platters in SODO. For less than the price of a fancy beverage at Starbucks, I could possess an album snatched from my young hands by my quick-acting brother. A week later, Xanadu popped up on the cable listings. I couldn’t even sit through 30 seconds of that dialogue before I switched back to a marathon of Outrageous Acts of Science. But the album itself? Surprisingly durable. “Dancin'” is now one of my favorite tracks, although the rock half of the song doesn’t sound as aggressive as I originally perceived. “Suspended in Time” and “The Fall” could have been contenders as singles themselves. The CD itself turned out to be cheaper than grabbing it on eMusic, so I bought that as well. If there’s one disappointment, it’s the exclusion of the b-sides, “Drum Dreams” and “Fool Country”. Surely the spacious capacity of a compact disc would allow their inclusion? Of course, the territoriality of sibling rivalry is silly in retrospect, but without it, I probably wouldn’t have forged an identity with my own tastes. And honestly, I probably wouldn’t have deigned to make this kind of purchase before my 40s. It’s still cool to discover things about this music I was too young to know was even there.